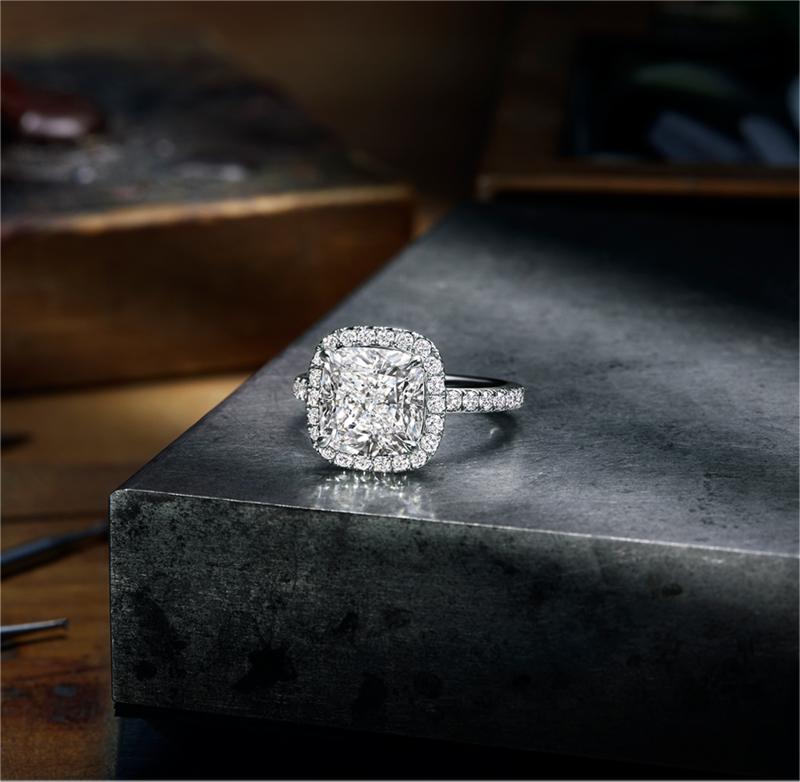 The One, an exceptional engagement ring by Harry Winston is unique piece of fine jewelry, features a cushion-cut diamond center stone, framed by micropavé diamonds, set on a micropavé band. 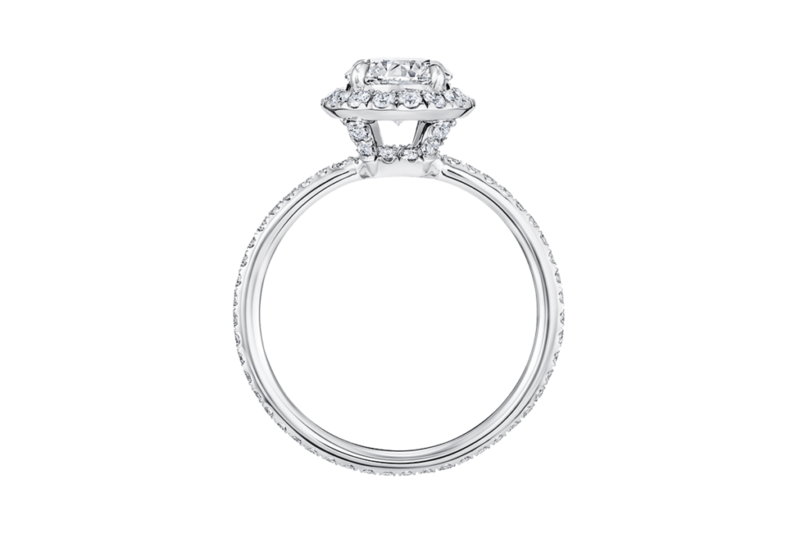 The timeless glamour of the micropavé setting has quickly become an iconic Harry Winston style. Set in a delicate, feminine design, each diamond engagement ring is meticulously hand-crafted, to highlight the diamond’s graceful beauty. This refined jewel is available with center stones from 1.00 to 3.50 carats, with micropavé on frame and band, set in platinum.